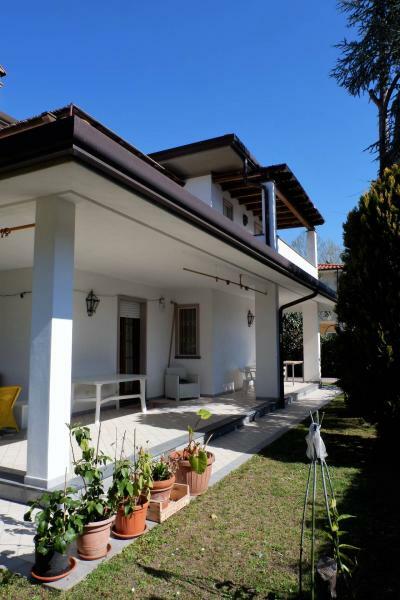 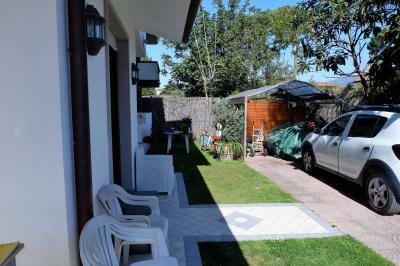 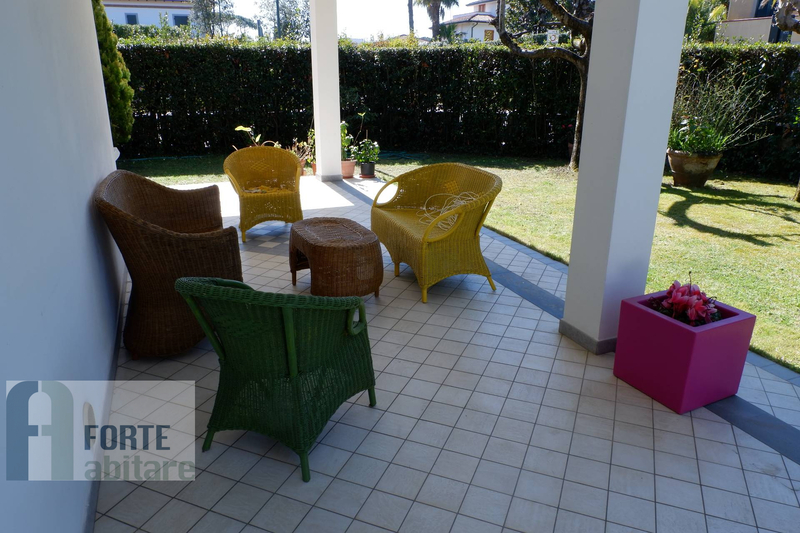 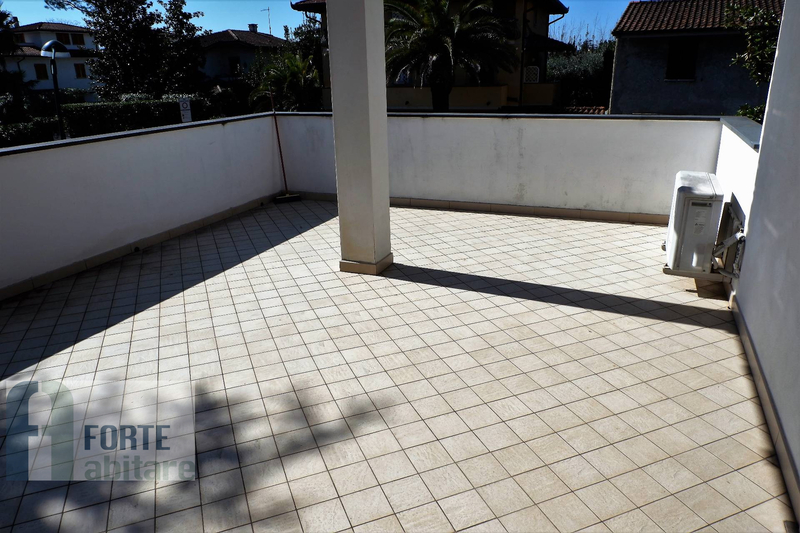 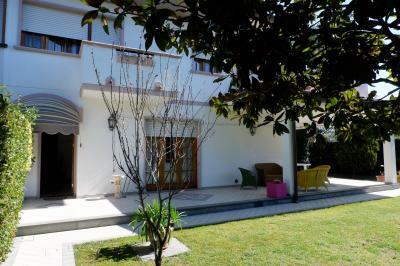 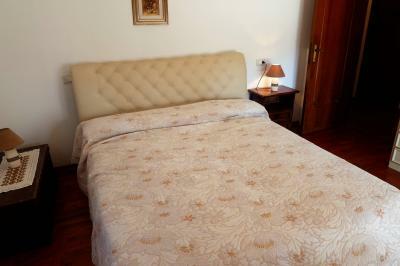 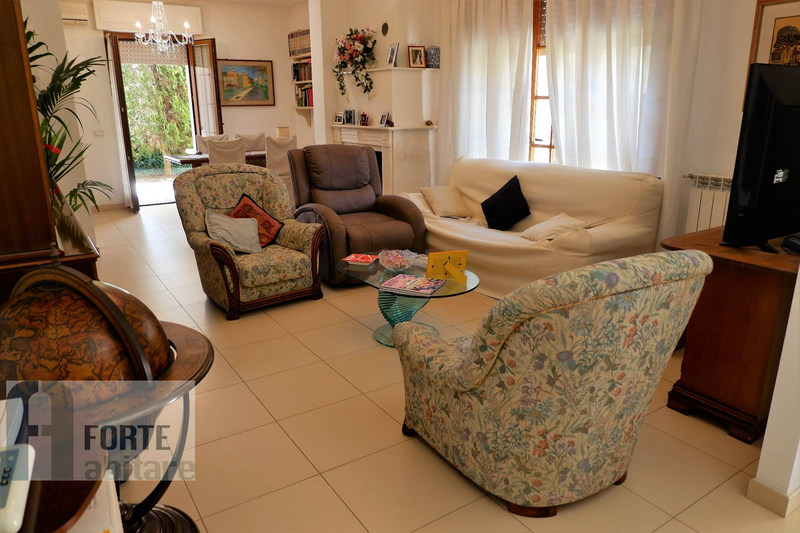 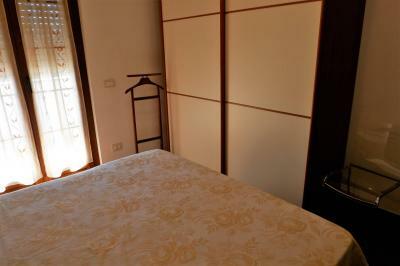 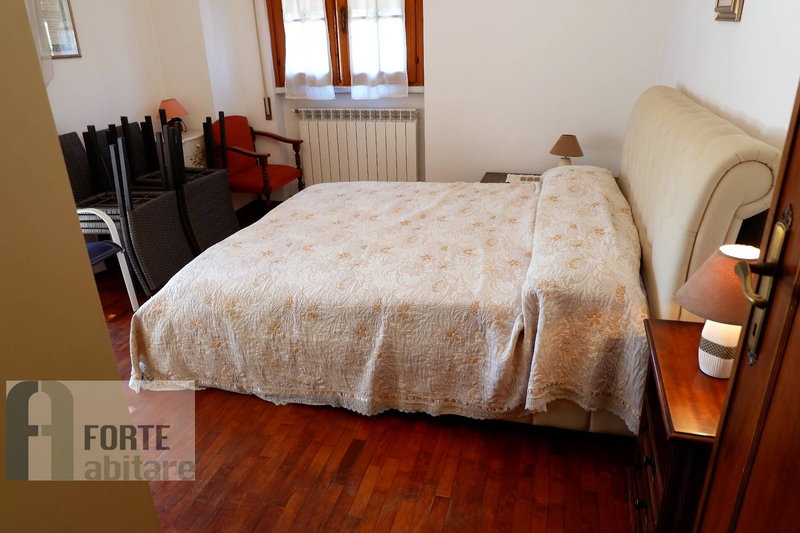 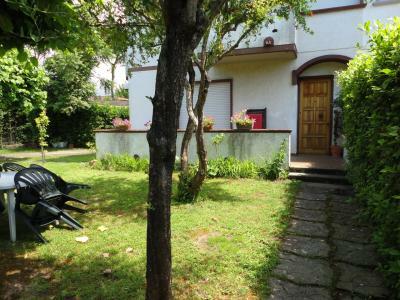 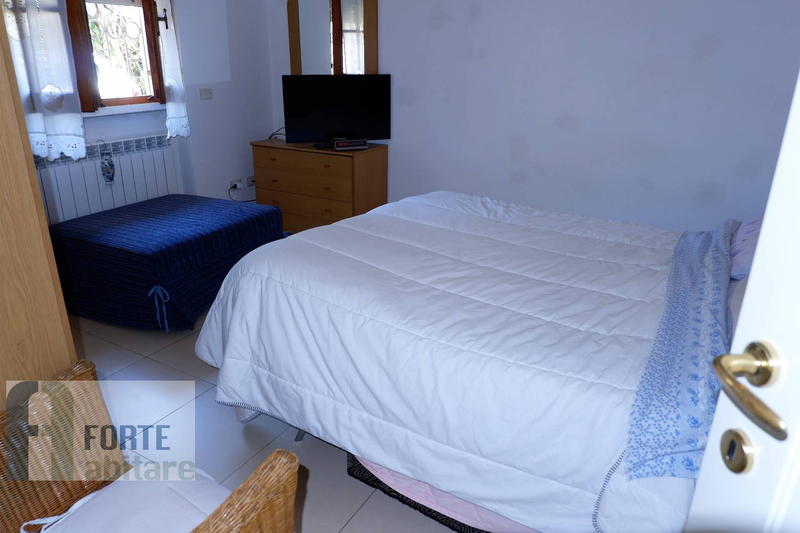 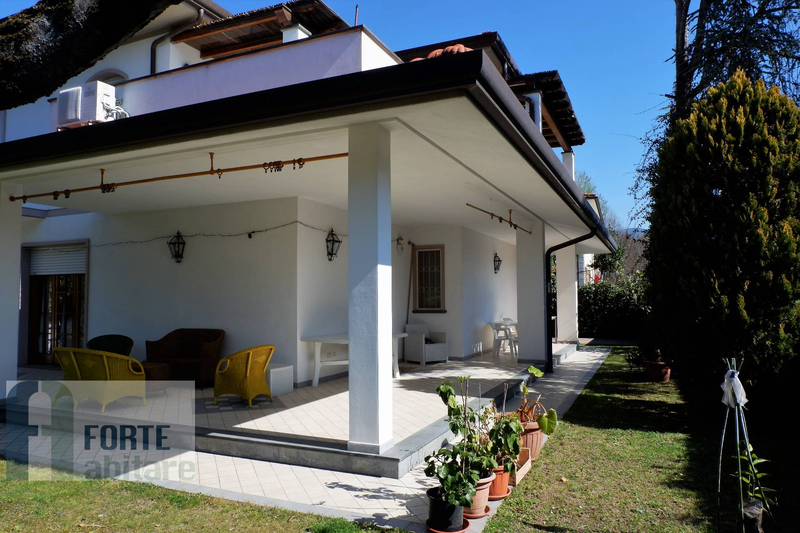 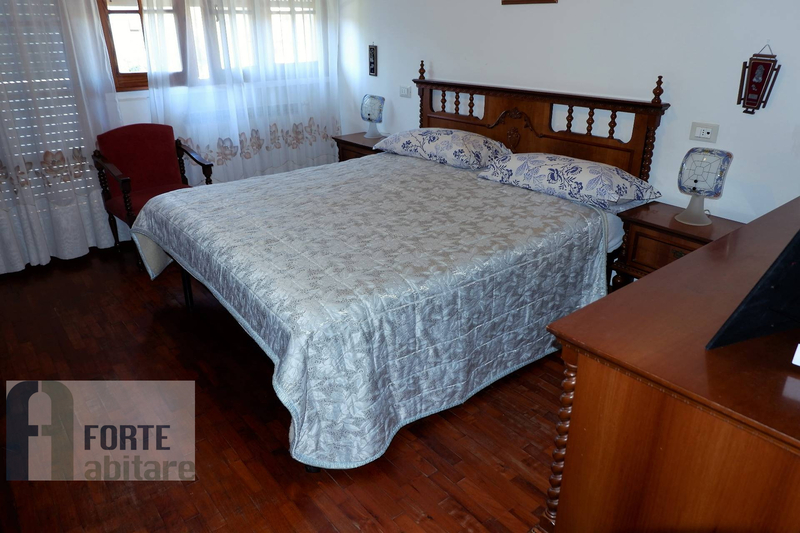 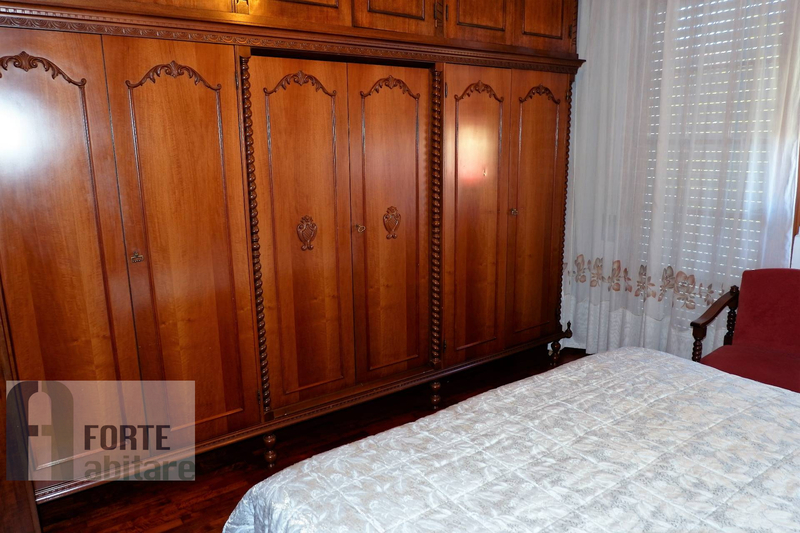 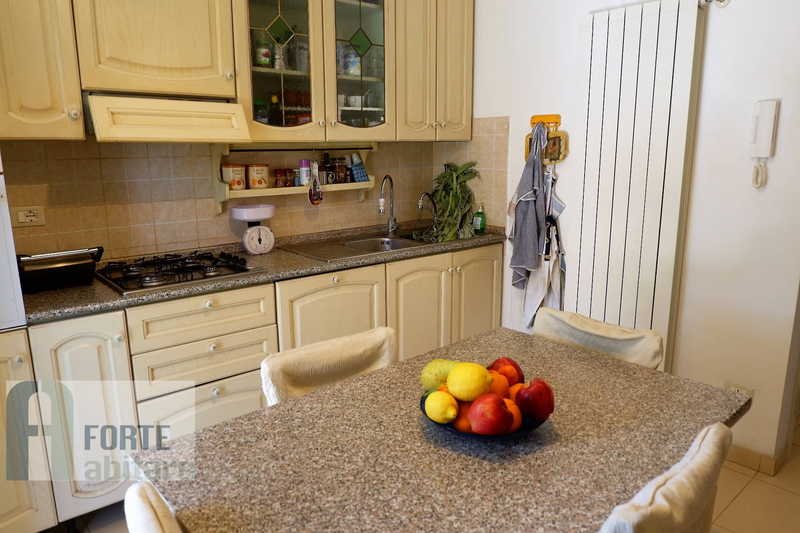 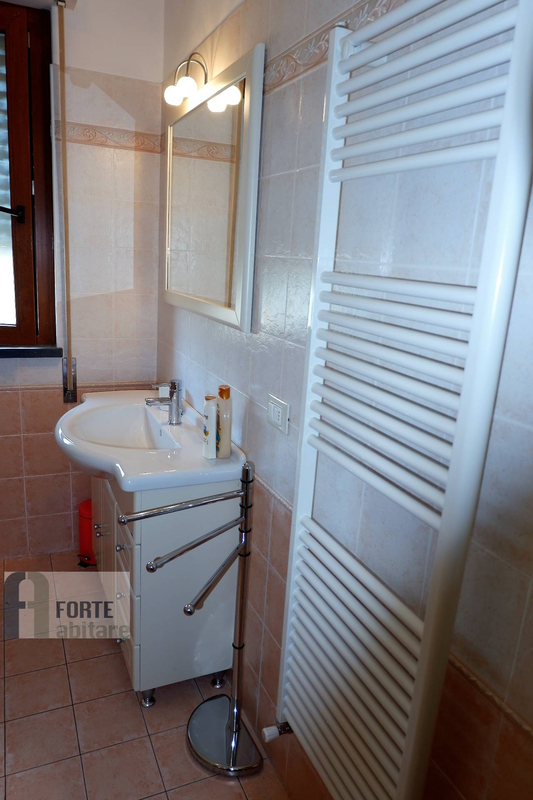 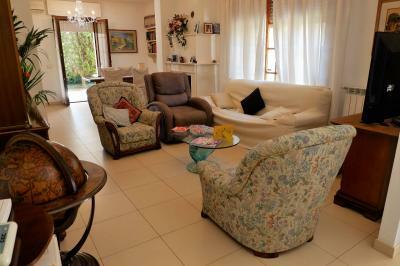 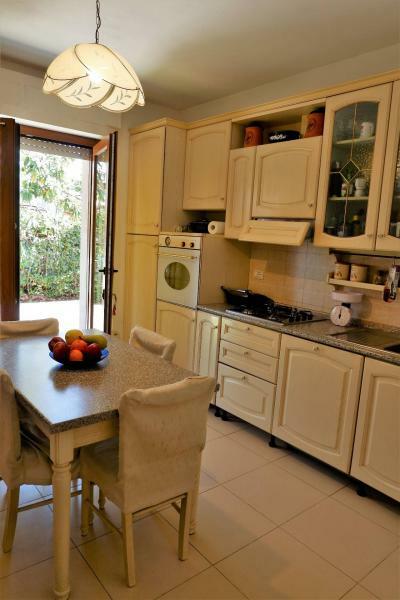 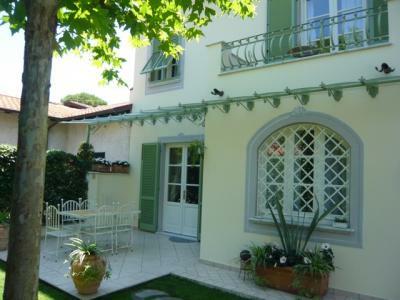 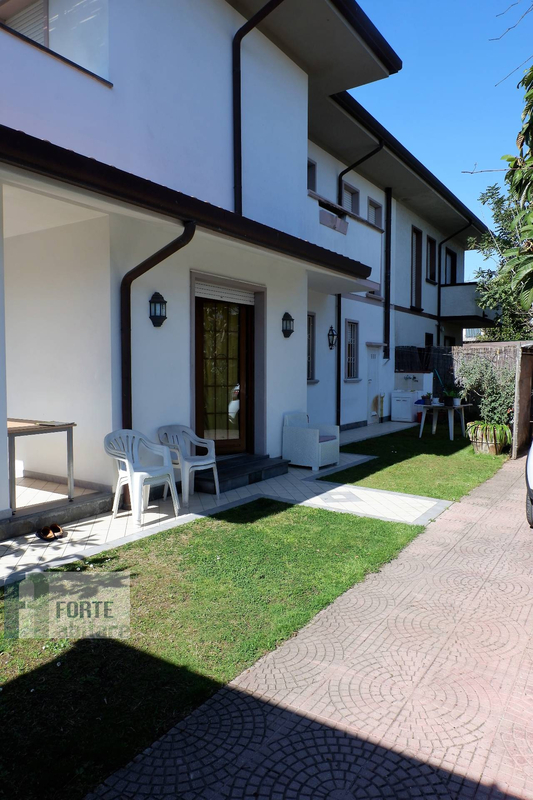 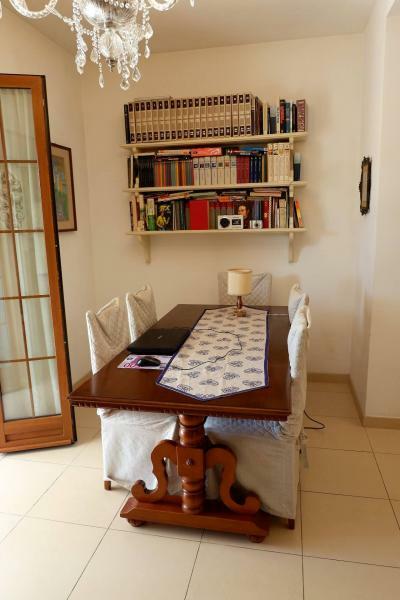 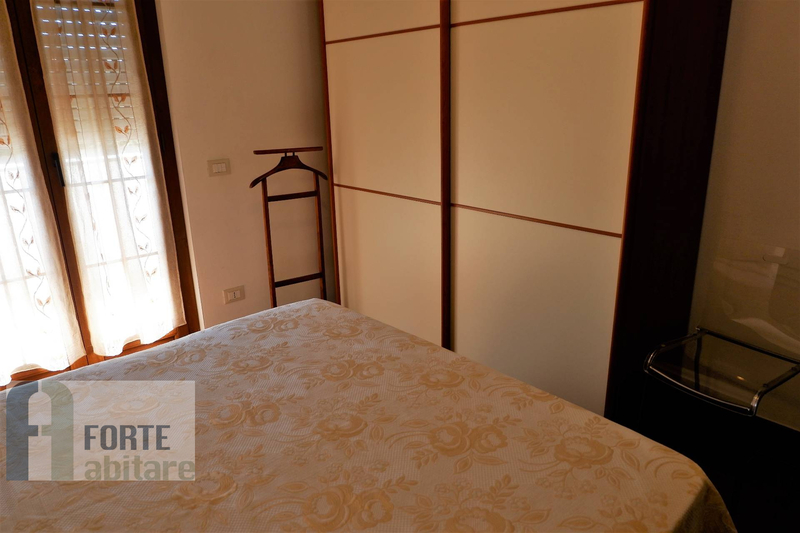 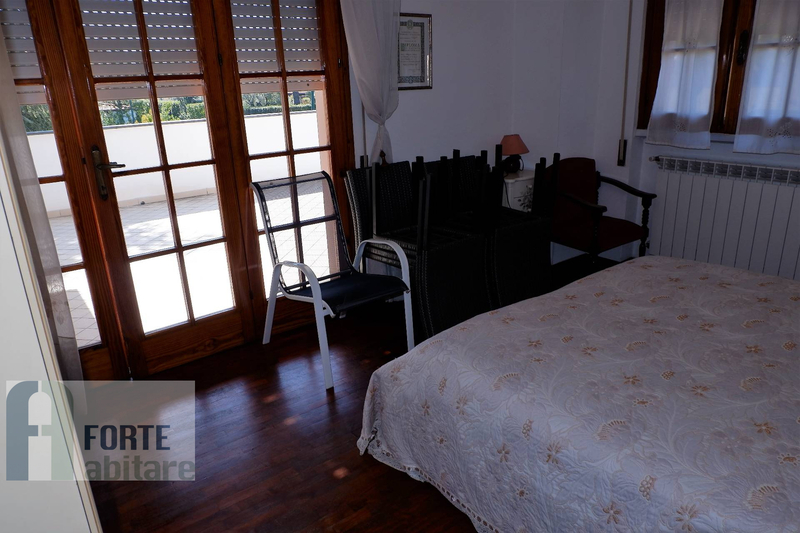 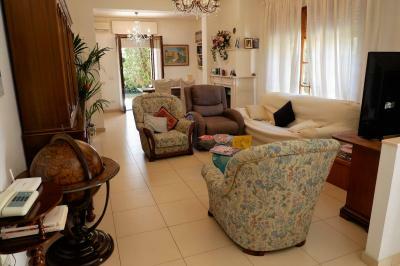 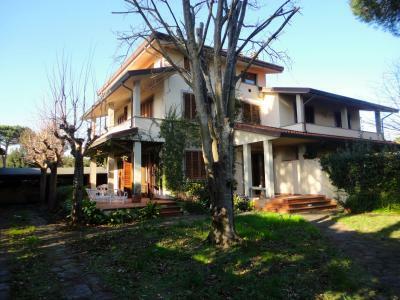 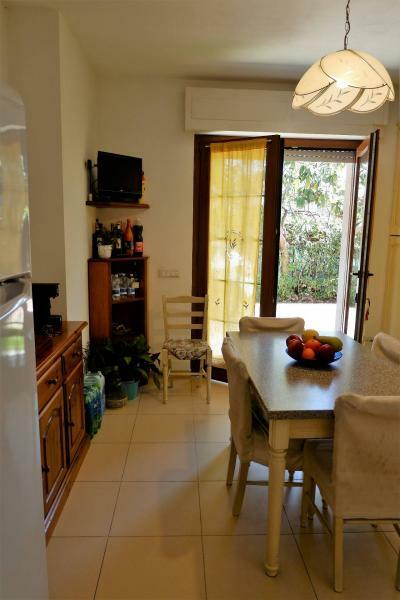 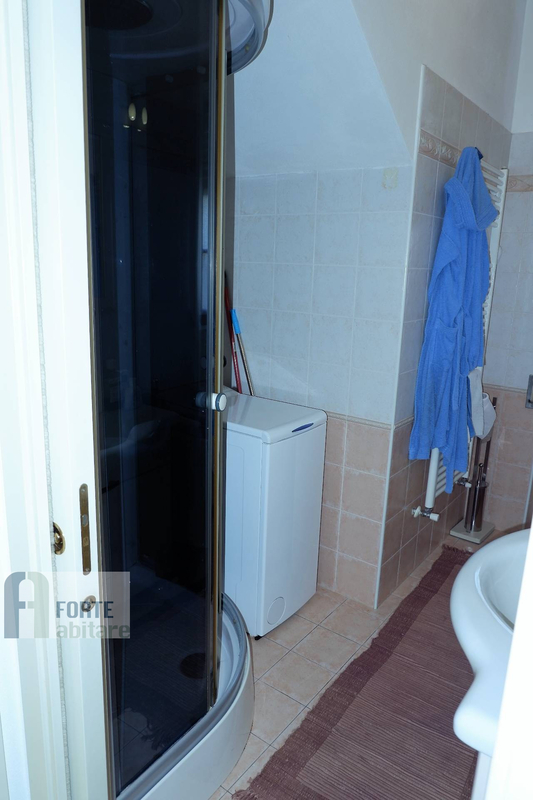 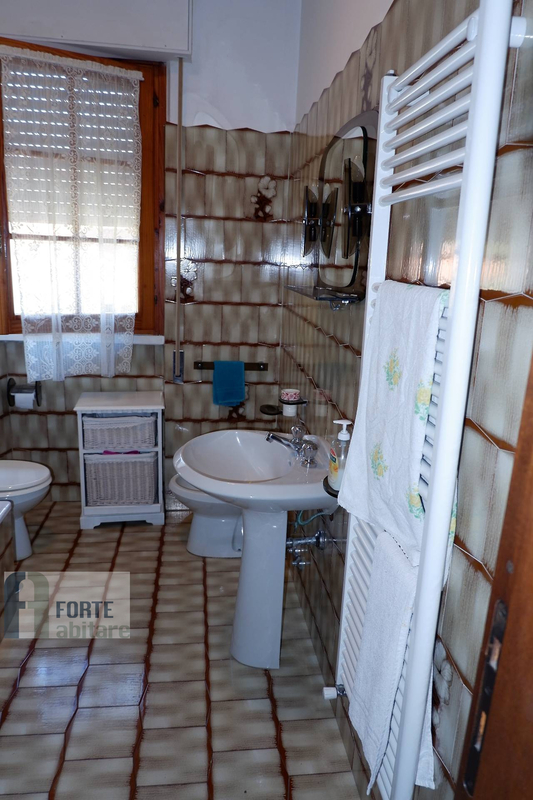 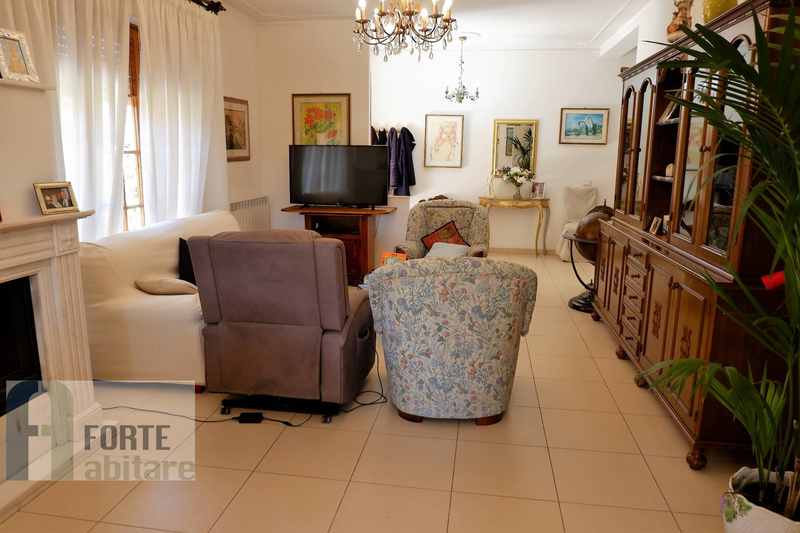 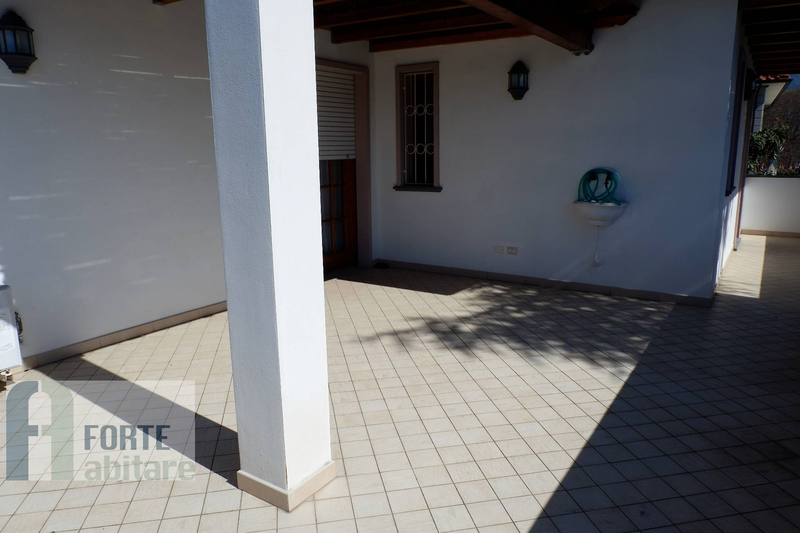 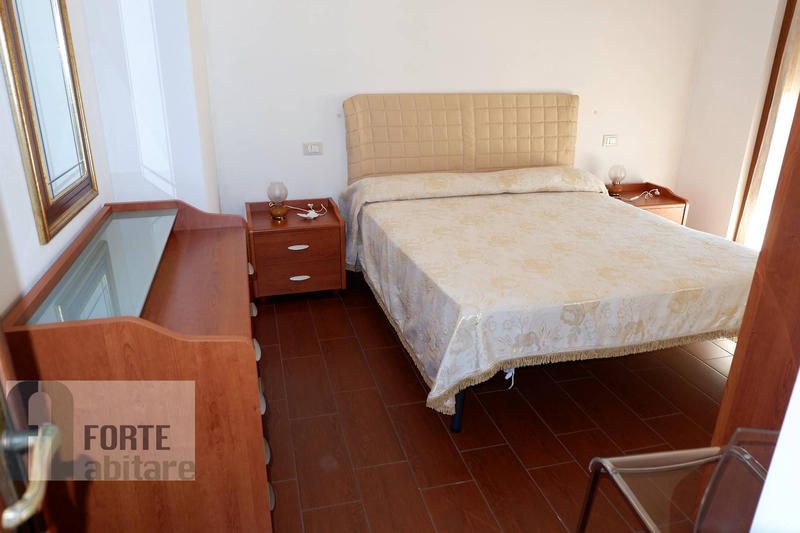 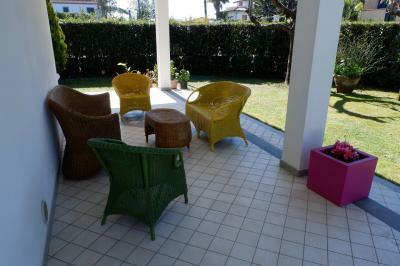 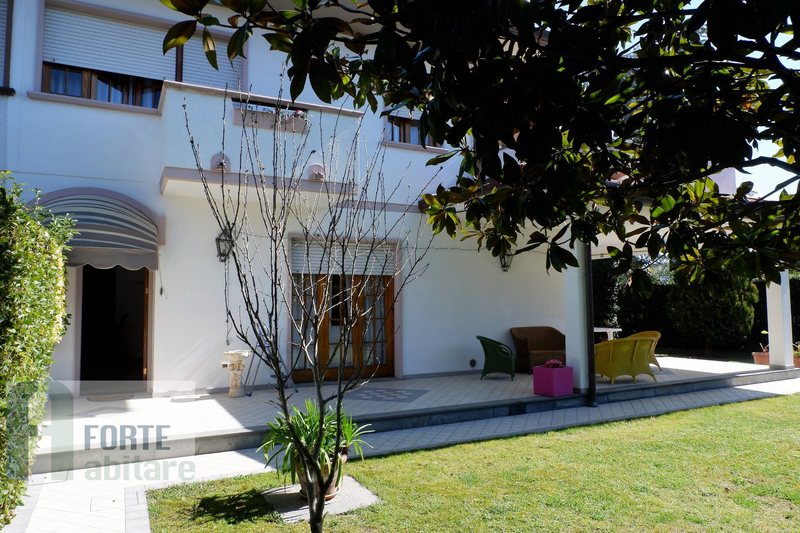 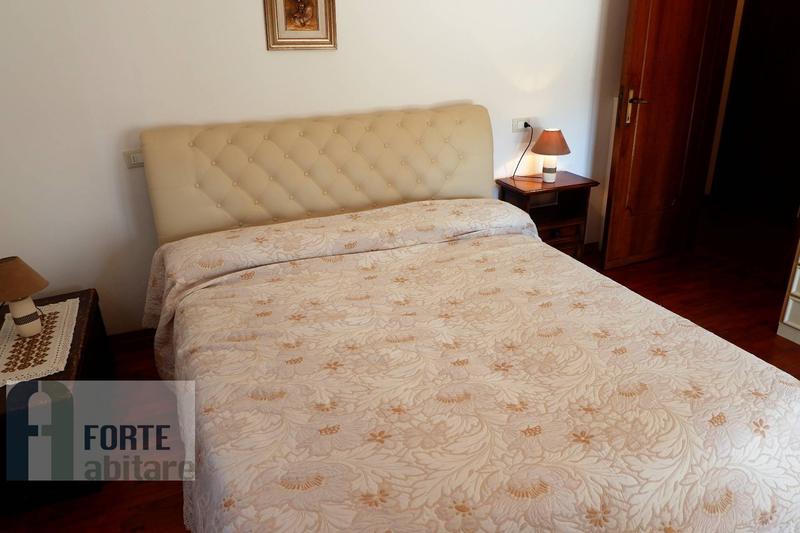 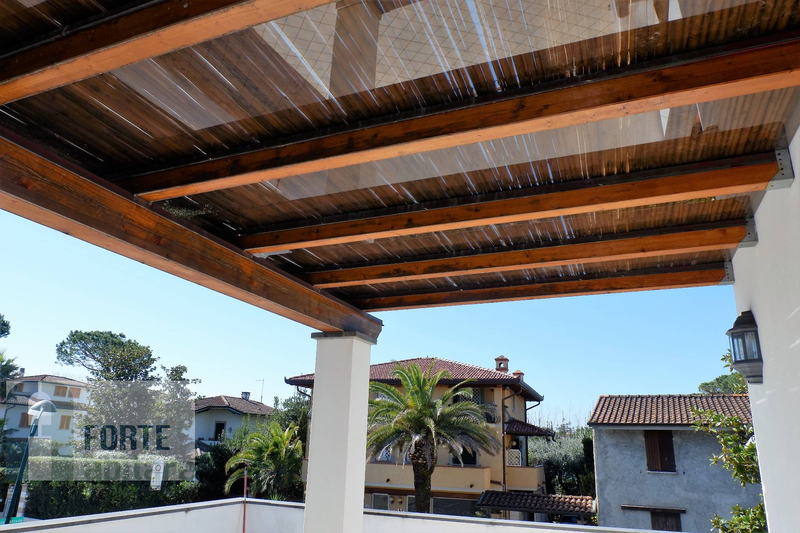 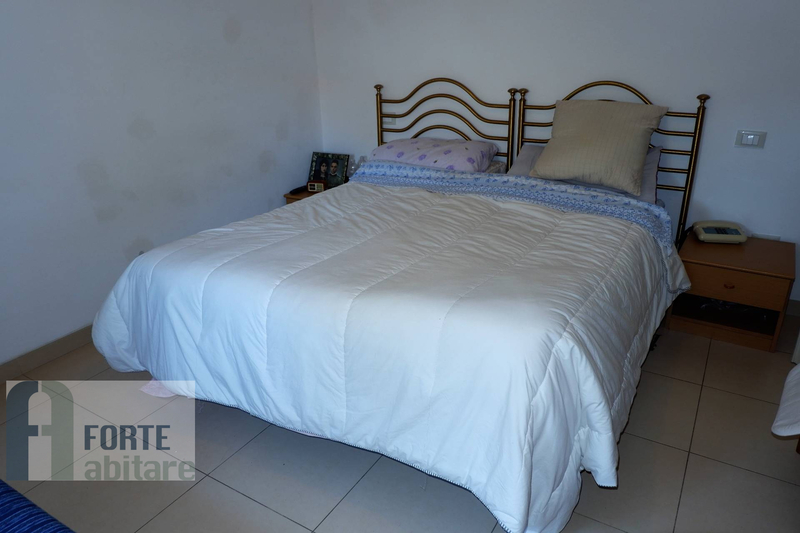 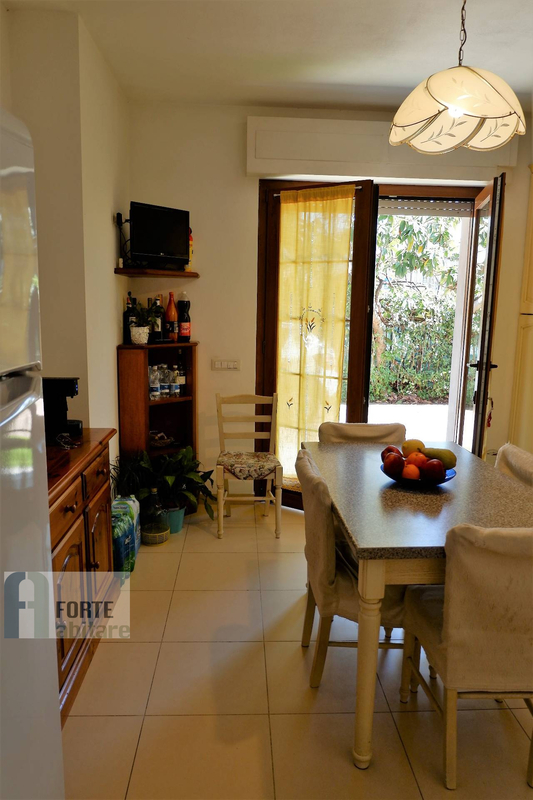 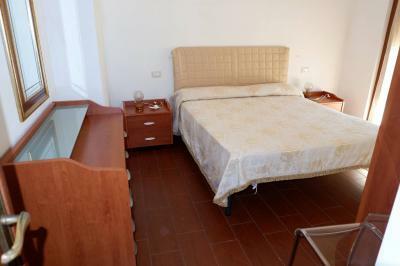 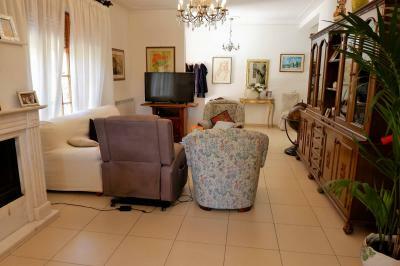 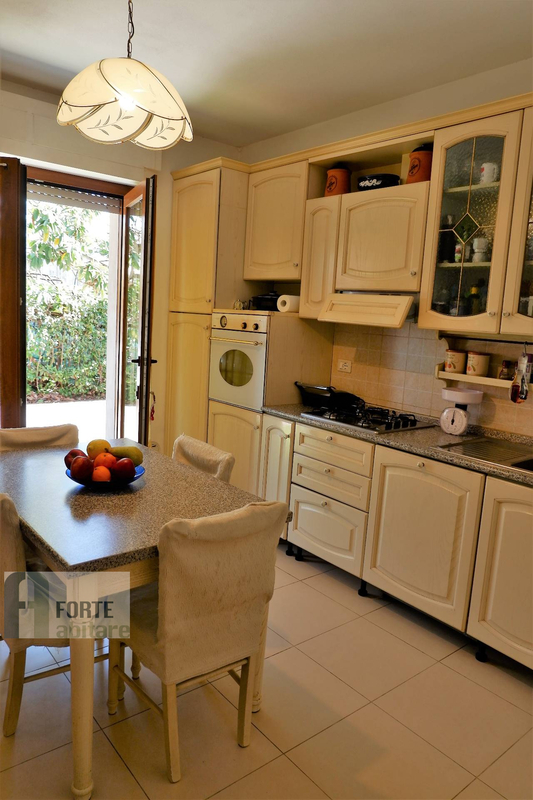 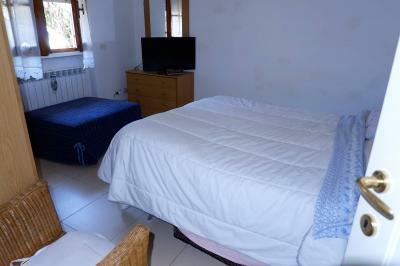 Forte dei Marmi Caranna, summer rent location detached house (portion) with garden and parking space. 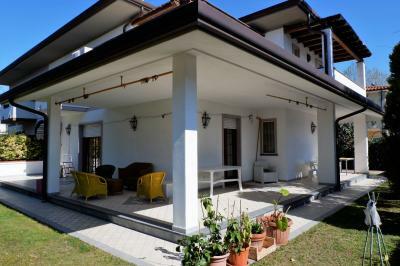 Outside covered patio for outdoor dining and relaxing moments, upstairs a spacious covered terrace furnished with armchairs. 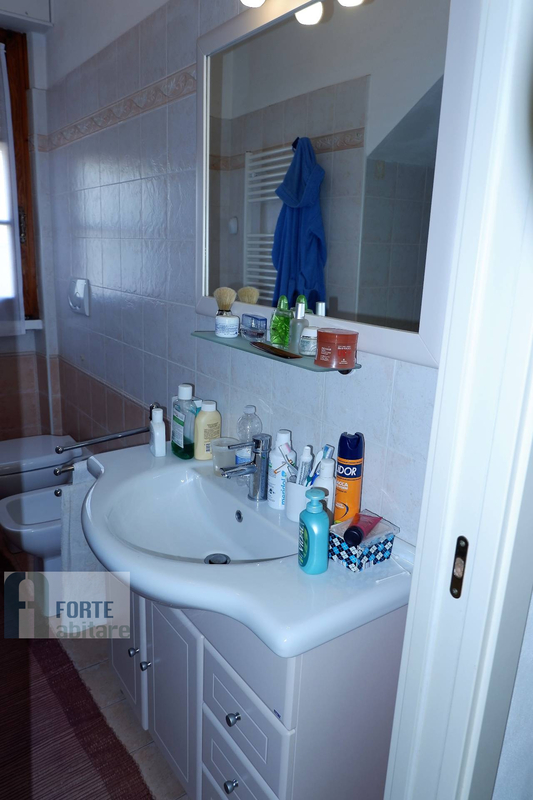 Ground floor: living-room with dining area, small sleeping area with bathroom shower and double bedroom, kitchen with utility room. 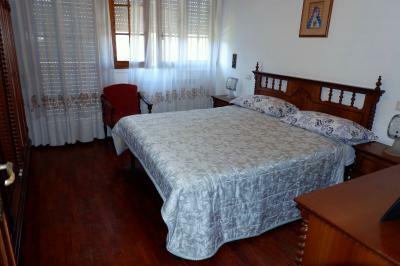 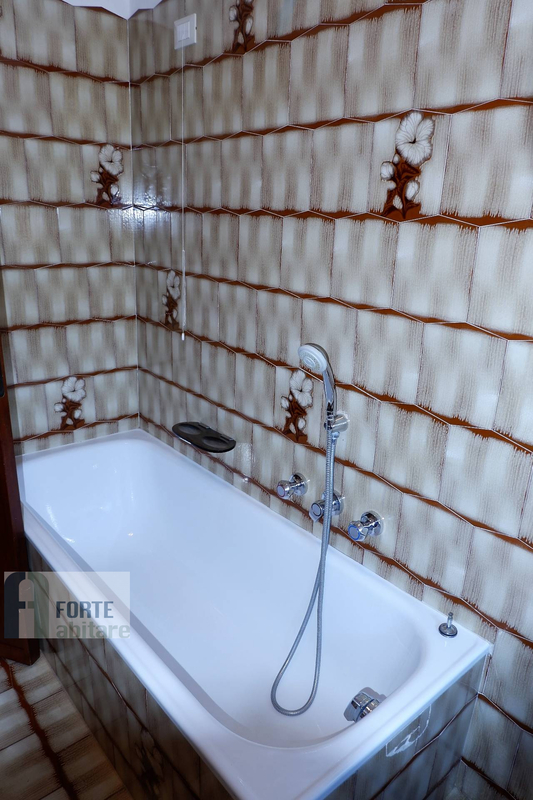 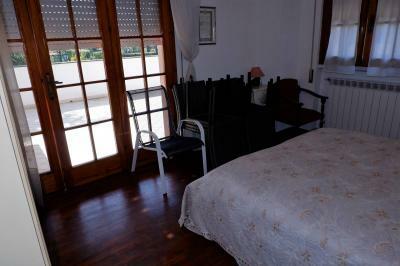 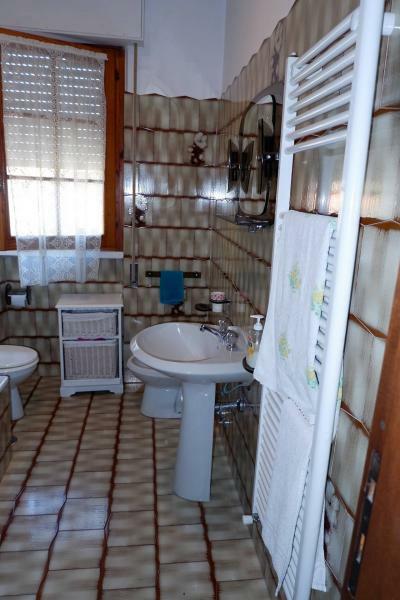 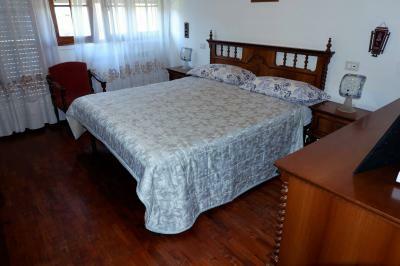 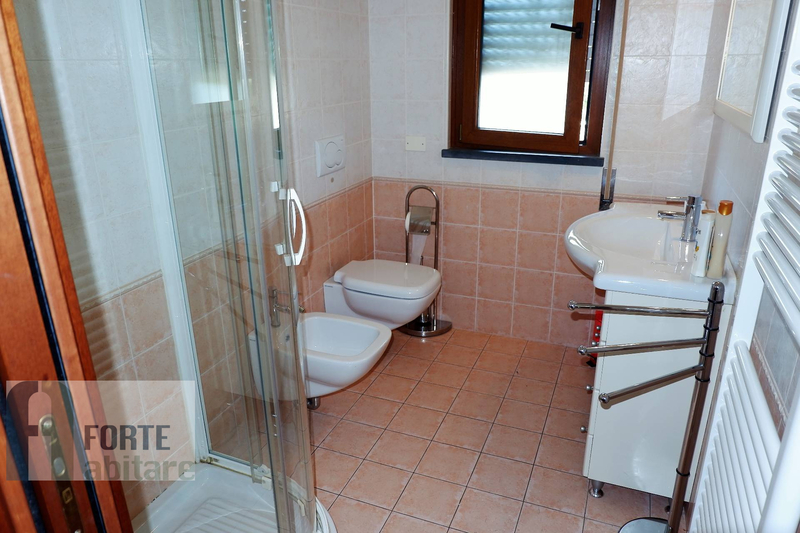 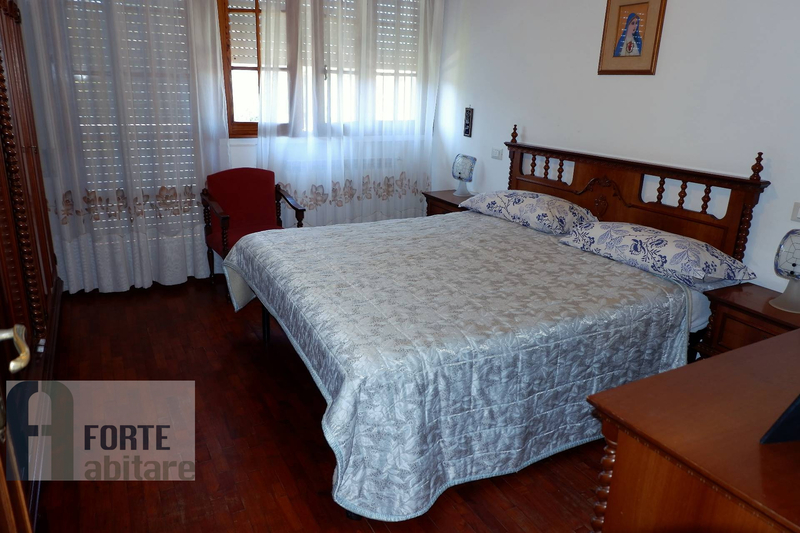 Upstairs one bedroom, one single and two double rooms, bathroom with bath and shower. 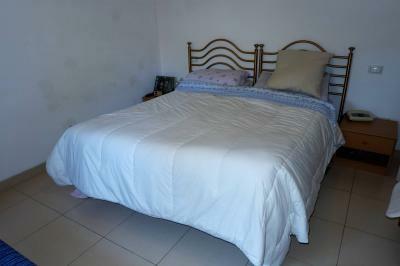 Air conditioning except in a room that has a ceiling fan. Automatic gate.